Is this the best cardio equipment out there? The reason most people get a gym membership is to lose weight. It’s especially true for people with a desk job or a job which involves minimal physical activity. For some people, the motivation to lose weight might fade away after some time. One of the main reasons could be the fact these people aren’t accustomed to making a lot of physical effort. These people can’t stand the idea of spending time on the unforgiving cardio equipment. Going to the gym every day is a whole workout in itself for some of these people. With the advancement of science and research in the fitness industry, we have seen a lot of new cardio equipment being launched in the market. Some of these machines have actually made a dent in the industry. Bowflex Max Trainers are one of them. Nautilus, Inc. is the brand behind Bowflex. Nautilus, Inc. owns five major fitness brands — Nautilus, Bowflex, Schwinn, Universal, and Octane Fitness. They have been in business for 40 years and are known for some breakthrough products. You wouldn’t find the Bowflex Max Trainer in many gyms. This cardio equipment is made to be used in the comforts of your homes. A lot has been said about this cardio machine and here is our unbiased review of it. The Bowflex Max Trainer is one of the best cardio machines you can buy. It has a state of the art design which only a few other machines on the market can match. With this machine, you will get the benefits of an elliptical, stair climber and the treadmill combined into one. With the Bowflex Max Trainer, you’ll be getting the benefits of three machines for the price of one. Bowflex promises a lot when it comes to its Max Trainers. They have three versions of this machine which cost from $1,000 – $2,199. Since the price is out of the way, should you invest such a big amount in a cardio machine? Find out. An independent University study showed Bowflex Max Trainers burnt more calories than any other cardio equipment including the treadmills, stair climbers or ellipticals working at the same intensity and speed. 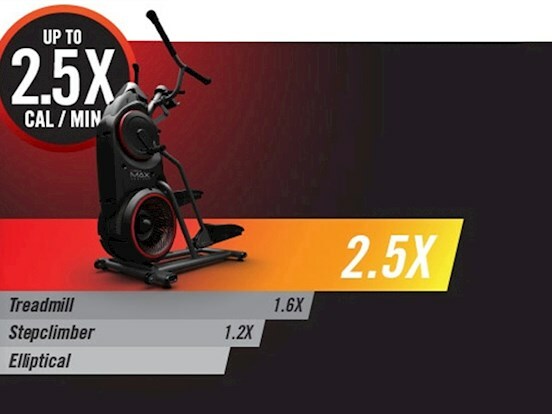 The users burnt 300 more calories on the Max trainer as compared to the other equipment. 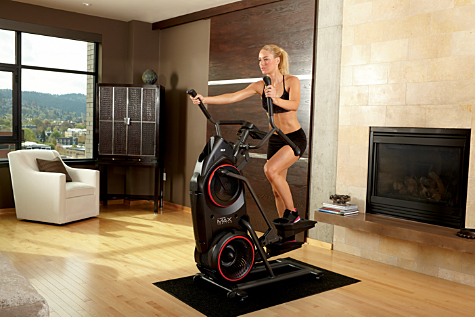 Unlike other cardio machines, Max Trainers are great at getting you a complete body workout. The machines have two hand placement positions which work your arms, shoulders, back and chest apart from your lower body. Treadmills have earned a bad name for themselves by putting unnecessary load on the knees and ankle joints. Bowflex Max Trainers are incredibly effective at getting you an intense cardio workout without putting any strains on your joints. Hello, joint longevity. One of the biggest problems people who are too busy to go to the gym or the people who have limited space at the homes face is machines like treadmills and ellipticals take up too much space. Max trainer is a dynamic machine which takes up almost half the space as compared to a treadmill. 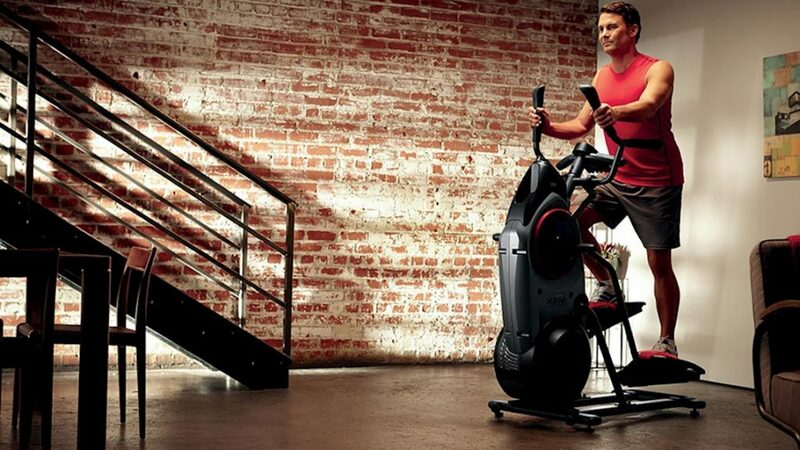 Bowflex Max Trainers have some of the most advanced tracking features. You can track your heart rate by placing your hands on the handlebar or by wearing the chest band which comes along with the machine. This cardio machine comes with Bluetooth connectivity. You can pair your machine with your phone and have all your stats available on your phone in real time. You can then sync your stats with Apple Health Kit or apps like MyFitnessPal. Max trainer also comes with a bottle holder and a place to keep your tablet while you’re working out. This can be the deciding point for many people. Max trainers come with a 14-minute workout program inbuilt. It helps you in strengthening your heart and lungs and improving your endurance and stamina — all while incinerating calories faster than you ever thought possible. Max trainers give you an ability to set user profiles. These profiles adapt to your setting and store all the data about your workouts and sync them to all your desired devices and apps. It’s nice to have a record of your cardiovascular activity. Cardio is one of the few things where an afterburn can be considered a good thing. The 14-minute workout spikes your metabolism so you’re burning additional calories and fat for hours after your workout. Like a lot of other cardio equipment, Max trainer have inbuilt programs. Choose between many different fitness modes, including steady state, stairs, calorie goal, fat burn, etc. It has a program for whatever your need and goal is. 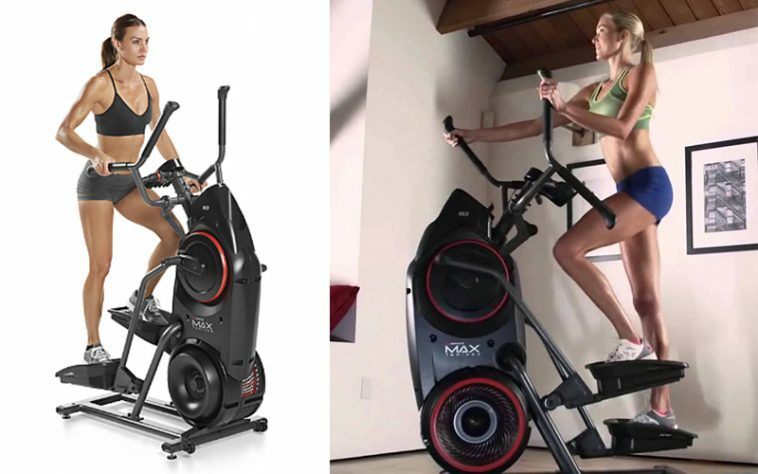 Max Trainers M7, M5, and M3 are some of the most expensive cardio machines on the market. Other treadmills and ellipticals of similar quality can be found for a lesser amount. You truly need to believe in the product before you buy it. The setup of this machine can be a complicated task. If you’re not good with mechanical stuff, you might need to pay extra for an additional professional set-up service. This will be the last penny you will ever spend on this machine. Bowflex has been known to introduce new and revolutionary workout equipment. There is a lot of research backing their products. There is no doubt Bowflex Max Trainers M7, M5, and M3 are some of the best cardio equipment on the market. If you’re looking for a cardio equipment which doesn’t take a toll on your joints, these machines are the best option for you. Bowflex guarantees a full body workout with these machines and they deliver on their promise. I have been looking for a good honest review of this series of machines for a while because I have been very interested in whether or not the machine does as it claims it will do in the advertisement. I see that you have done your research into the pros and cons of this series of machines and I appreciate the fact that you have laid out the blog in such an easy to read fashion. The fact that there are so many more pros to the machine than cons is a big plus and only supports my need for information and my want for the product. I do believe that the machine would be worth the price since it does burn so much extra calories, works the entire body, is easy on the joints, takes little space, has implemented advanced technology, provides connectivity with a Bluetooth app, reduces workout time, provides profiles for different users, provides a boost to the metabolism, and provides different programs and resistance settings. I find it very useful that the machine will be easy on the joints where I have bad knees and a bad back. I am always looking for a way to exercise where I will not have to worry about feeling like I was run over by a speeding train afterwards. I also like the fact that the machine provides a boost to the metabolism because I desperately need all the help I can get in regards to weight loss. The price and assembly being the two main cons are indeed important to know. I would most likely be able to assemble the machine on my own so I would not have to worry about the extra price for installation but I am very glad that it was mentioned in this review. The price of machines is terribly steep to begin with and it appears that added price would make it much more difficult to purchase. I approve of the fact that you gave a link to the study that the company used for their research of the machine as I was very curious what the study entailed since the advertisement only mentioned it in passing. I would have liked to have seen that the study had more to it or that they had performed more than one study for the machine however. I also appreciate the fact that you gave links to different websites so that people would be able to compare prices for the machines but I feel like I would have to wait a while before I am able to make the purchase as they are so expensive. Thank you for all of the research and effort that you have given to this blog post as it has helped me discover whether or not I would want to continue considerations in regards to the purchase of the machine.